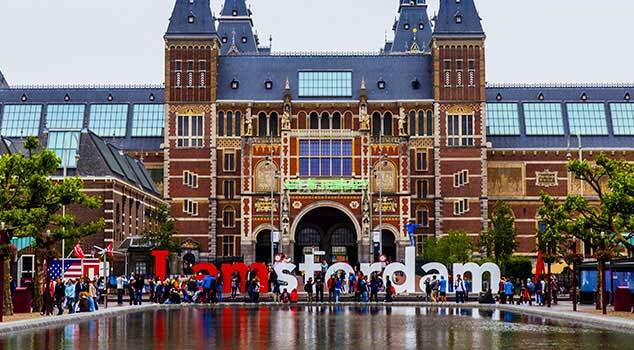 This modern city is known for having the highest museum density in the world, including the Van Gogh Museum, the Anne Frank House, and the newly re-opened Rijksmuseum. 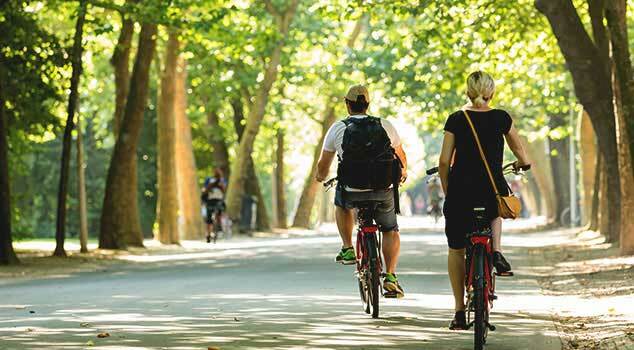 Famous for its canals and charming bicycle-friendly streets, there is much to discover in this attractive city, from markets and shops, to canal boat tours, to thousands of 16th-, 17th-, and 18th-century buildings. And just outside of town, you can find those iconic windmills and tulips that mark the region. But sometimes, the best way to take in this cosmopolitan city is to sit back and enjoy a cup of Dutch coffee at a café with the locals. 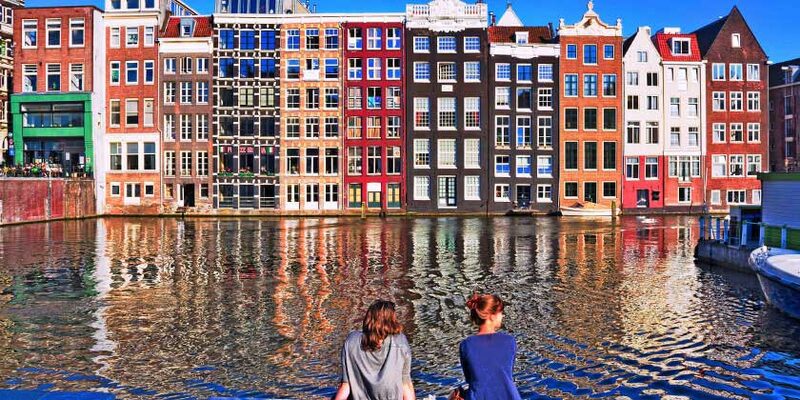 Book your next vacation to Amsterdam with United Vacations® today. There are few more serene spots in the city. 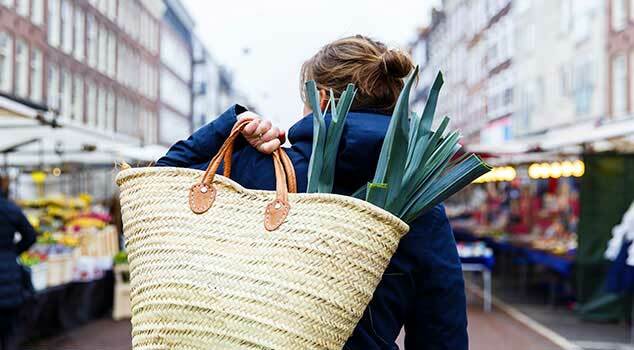 Pack a picnic and breathe in Amsterdam’s culture with beauty all around. We aren’t kidding. There really is a great museum around every corner. The Van Gogh Museum and the Anne Frank House are must see, but you can’t go wrong popping into whichever one catches your eye. Some of the best shopping in all of Europe. Find vintage clothing, cafes and chocolate all nestled between picturesque canals. See top Amsterdam attractions including the Royal Palace, National Monument and Albert Cuyp Market and more on this guided tour. Learn about Amsterdam and its top attractions on a 2-hour evening canal cruise with onboard commentary plus a 4-course dinner. Combine a hop-on hop-off canal boat tour of Amsterdam with a visit to Rijksmuseum - the Netherlands' national museum. Leave Amsterdam behind for a few hours and discover the surrounding Dutch countryside and its wonderful windmills. Visit Antwerp and Brussels on this full-day trip and discover beautiful architecture, centuries of history and delicious Belgian beer and chocolates. Sail along Amsterdam's stunning canals at twilight and enjoy a delicious pizza as you cruise. Resort info: A charming hotel in the heart of Amsterdam with fine dining, elegant design and an excellent location steps from the Leidseplein. Resort info: A traditional hotel offering comfortable accommodations with and an excellent location close to Dam Square and the Gothic Oude Kerk. Resort info: A luxury boutique property offering stylish accommodation with contemporary design, fine dining, and an excellent location steps from the Rijksmuseum. Resort info: A traditional property offering comfortable accommodation in the heart of Amsterdam. Highlights include an excellent location close to Leidseplein. Resort info: A traditional property offering free Wi-Fi and an excellent location on the Prinsengracht waterfront, steps from the Leidseplein. Resort info: A friendly hotel near the heart of Amsterdam. Highlights include free Wi-Fi, onsite dining and a good location next to the public gardens Oosterpark. Resort info: A traditional hotel offering elegant accommodation near the heart of Amsterdam. Highlights include free Wi-Fi and a good location close to Vondelpark.